On 9 March 1999, Airbus A320-214 c/n 984 flew first with Airbus test-registration F-WWDI. The Airbus A320-214 was designated ILFC (International Lease Finance Corporation). On 30 April 1999, the Airbus A320-214 was registered B-2205 with China Northwest Airlines. On 1 March 2003, Airbus 320-214 B-2205 entered service with China Eastern Airlines. In October 2005, ownership of the Airbus A320-214 was transferred to ACG (Aviation Capital Group). In May 2015, the Airbus was returened to the leasing company. On 11 January 2016, the Airbus was re-registered EI-FMN with Aviation Ireland Designated Activity Company and on 21 January stored at Woensdrecht. On 3 March 2016, registration EI-FMN was cancelled as exported to Latvia and on 4 March the Airbus was registered YL-LCR with SmartLynx. On 20 April 2016, SmartLynx leased the Airbus A320 YL-LCR leased to JetairFly Belgium. 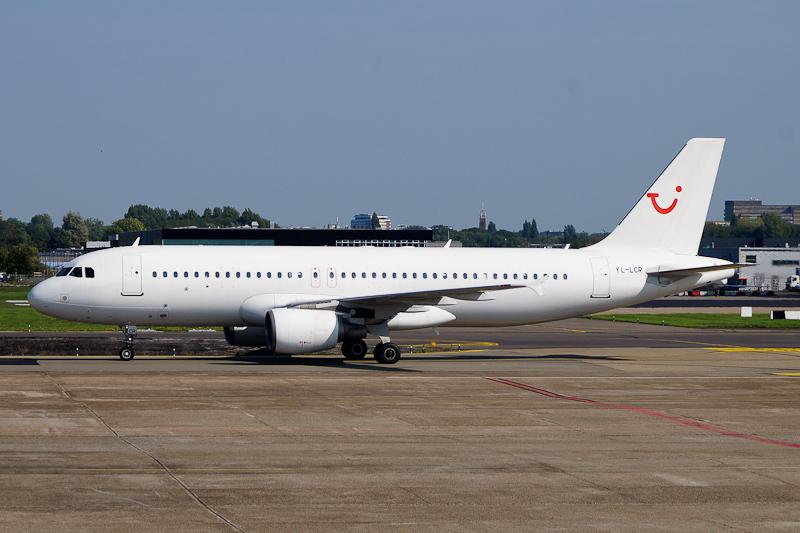 On 24 September 2016, Airbus A320-214 YL-LCR was seen in service with JetairFly at Rotterdam The Hague Airport in the Netherlands.